Wishing all our readers a ‘Happy Children’s Day’! 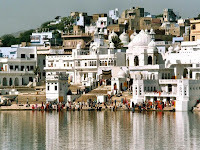 Pushkar is a town in the Ajmer district in Rajasthan. It is situated 14 km northwest of Ajmer at an average elevation of 510 m (1,670 ft) and is one of the five sacred dhams (pilgrimage site) for devout Hindus. According to Hindu theology, the pond at the Katas Raj temple near Choa Saidan Shah in Chakwal District of Pakistan has a theological association with Shiva; it was formed by the tears of Lord Shiva which he is believed to have shed after the death of his wife, Sati. The story goes that when Sati died, Shiva cried so much and for so long, that his tears created two holy ponds – one at Pushkara in Ajmer in India and the other at Ketaksha, which literally means raining eyes, in Sanskrit. It is from this name that the word Katas is derived. It is often called "Tirth Raj" – the king of pilgrimage sites – and has in recent years become a popular destination for foreign tourists. Pushkar has many temples. Most of the temples are not very old because many temples were destroyed during Muslim conquests in the area. Subsequently, the destroyed temples were rebuilt. 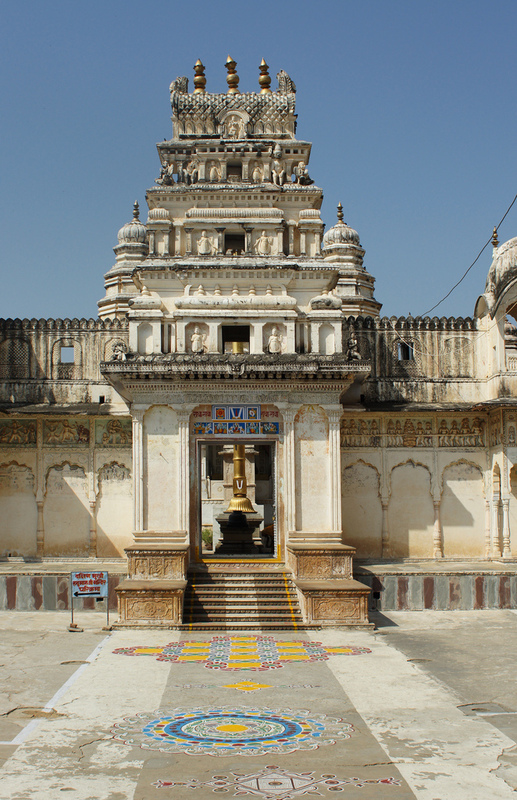 The most famous among all is the Brahma Temple built during the 14th century CE. 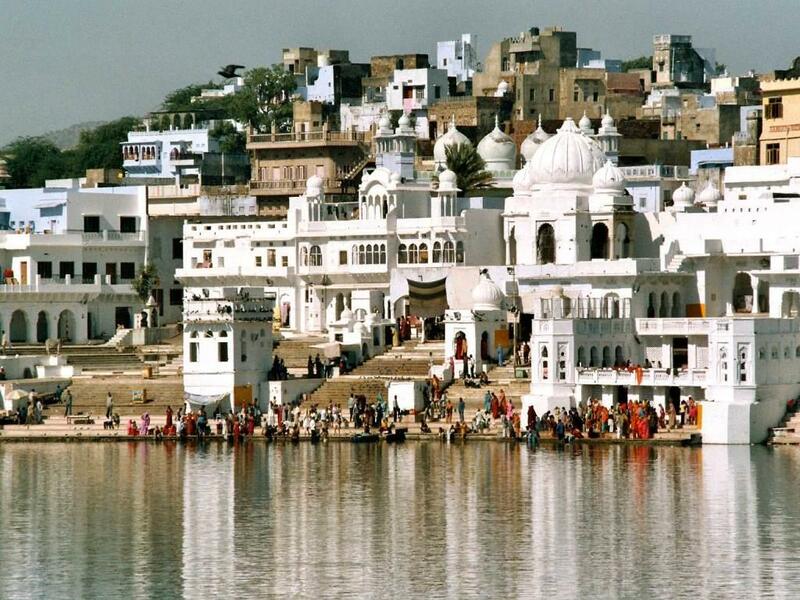 The Pushkar Lake has 52 ghats where pilgrims descend to the lake to bathe in the sacred waters. Pushkar is also famous for its annual fair (Pushkar Camel Fair) held in the month of November. Raghuveer Singh( Batch 2005) is from Kagdi village. 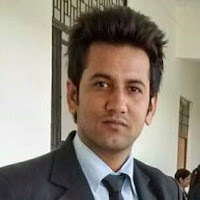 He studied 10th in Fabindia school and passed 12th in Kanakraj Sanwant Lodha Public school .He did BBA in S.P.U college in Falna and he has done MBA from Faculty of Management in Udaipur .He is presently working with ICICI bank ltd. at Jaipur as Deputy Manager In school he was not only good in Academics, but the best athlete of his batch and a sportsman. Mr. Arunesh Dutta F/O Pooja Dutta/ XII was selected as the 'Parent This Week'. AD: My name is Arunesh Dutta . 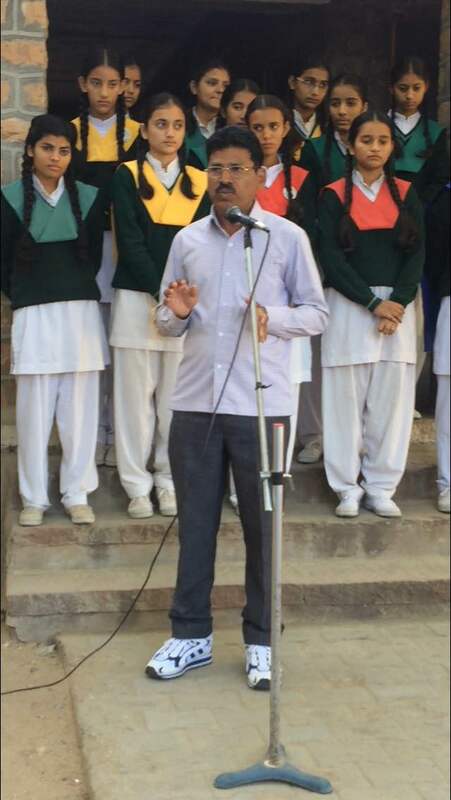 AD: I am a teacher by profession and my subject is Biology, I teach in Government School. ED: What achievement do you want in your field? AD: I would like to struggle a lot for children whom I teach. ED: What did your ward achieve while studying in this school? AD: My son Ashwin Dutta participated for State Level Athlete Tournament and achieved the 5th position in Rajasthan state for his Sports, and he also participated in Football Tournament and Athletics. AD: I would like that they should get more guidance on in studies. AD: I have three children: Two boys and one girl. ED: What feedback would you like to give for our school? AD: I want that child should take an interest in studies. The school has called me here to observe and share my views about the activities and academics of the School, I am very glad to be here. 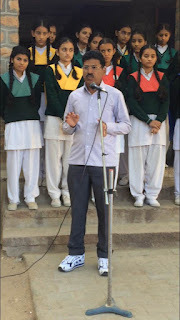 I have a very long connection or relationship with the school as all my 3 children have studied here and are studying from Class Prep to Class XII. The discipline of the school is very good, education, the language and command of students over English is really impressing. I have visited many other schools but no other school is as good as Fabindia. This is the best school in this area and I think every parent should send their child to this school where they can have overall development. I have not seen any school so well developed in the nearby areas of Bali, Falna or the entire Gorwar belt, so I suggest or request you all students to utilize your time effectively, learn as much as you can from this institution. All my good wishes with the school and students. Thank You. Saturday, 12th November: Gajendra Singh/ IX/ DH and Avinash Sain/ IX/ RH were selected student of the week for their outstanding performance in Art Work. Their talent in art helped them to reach State Level Painting Competition. it is a day of love and joy. And the scene likes to be of somewhat France. India’s first Prime Minister, Pandit Jawaharlal Nehru, was born on 14th November. Apart from being known for his skills as a statesman, Nehru was also immensely fond of children. He thought children are the future of a Nation and they need utmost care. They win over our hearts with their angelic eyes and innocent smiles. 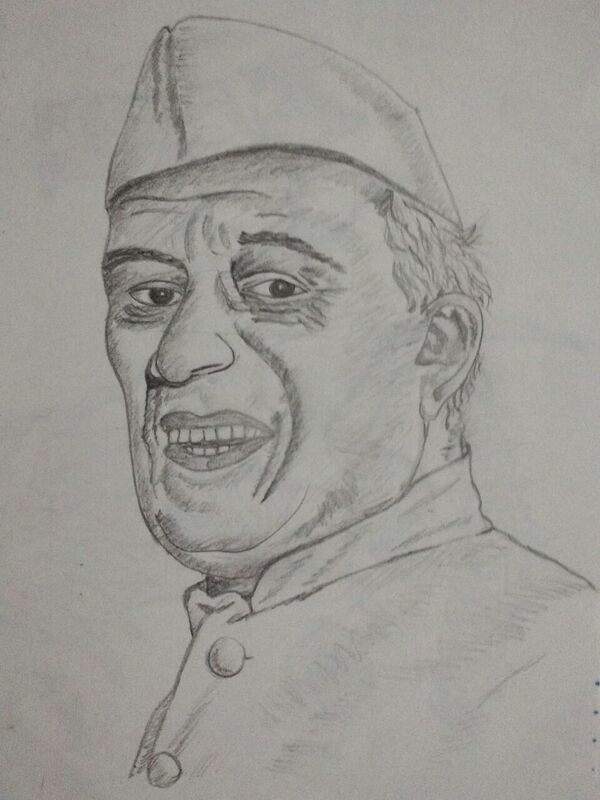 Nehru wished his birthday to be celebrated as Children’s Day. Since his death in 1963, his birthday is being celebrated as Children's Day in India. So the Children’s Day is dedicated to the Children of India. Children are loved by one and all. Children’s Day is not just a day to let the future generation have its say. It is a day to remember a leader who, in his quiet but determined way, laid the foundation to convert a nascent nation into a world power. The more popular and famous of Nehru's pictures show him with children. He is always called as Chacha Nehru (Nehru Uncle). Monday, 6th November: Annual Day Practices are in full swing. Exhibition work is almost completed. Wednesday, 9 November: Avinash Sain /IX /RH and Gajendra Singh /IX/DH escorted by Mr. Rakesh Kumar/ Art& Craft Faculty went to Jaipur to participate for state level Painting Competition under National Campaign on energy conservation 2016 organized by The Ministry of Power, Government of India . Avinash Sain painted a boat with a globe in which solar plant and windmills were drawn. The boat symbolized carrying energy on it. Gajendra Singh painted LED Bulb and CFL Bulb which depicted to save energy .Both were connected to solar plant and windmill. LED Bulb depicted to show that it saves nature and 100-watt Bulb is dangerous for nature as it does not conserve energy. They were gifted with a certificate, bed sheet, LED Bulbs and a lunch box for their participation. Results are awaited! Monday, 7th November: Class VIII-XII students went practicing cycling every morning to prepare for their cycling trip to Jawai Bandh. 11 students escorted by Mr. Tarun Mishra cycle to nearby villages to develop strength. Mr. Rakesh Kumar and Mr. Partha Guin are other teachers who have joined the expedition. Saturday, 12th November: After a long wait and practicing for 20 days, the day came when the students went on their cycling expedition to Jawai Bandh. It was 25 km run from School. They were flagged off by the Principal Ms. Deepika Tandon, with best wishes, tilak and sweets. They enjoyed a lot and had fun on the way. All returned to school at 1.00 PM safe and sound. We welcome Ms. Vimmy Rajpurohit/ Faculty as English Editor on the Editorial Board.